Samsung’s Galaxy S10 series will also include a 5.8-inch version that’s likely to hit the shelves as the most affordable configuration of the new flagship. 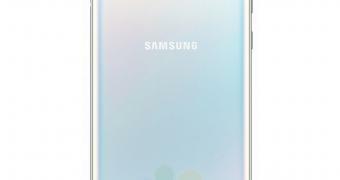 The device is expected to be called Samsung Galaxy S10e and could be released as the South Korean’s answer to the iPhone XR. As compared to the other models in the lineup, it will use a flat display with no curves and a single front-facing camera, also embedded into the glass thanks to the Infinity O screen. However, one of the biggest changes concerns the fingerprint sensor, which won’t be placed under the screen, as it is the case of the more expensive versions, but on the side.